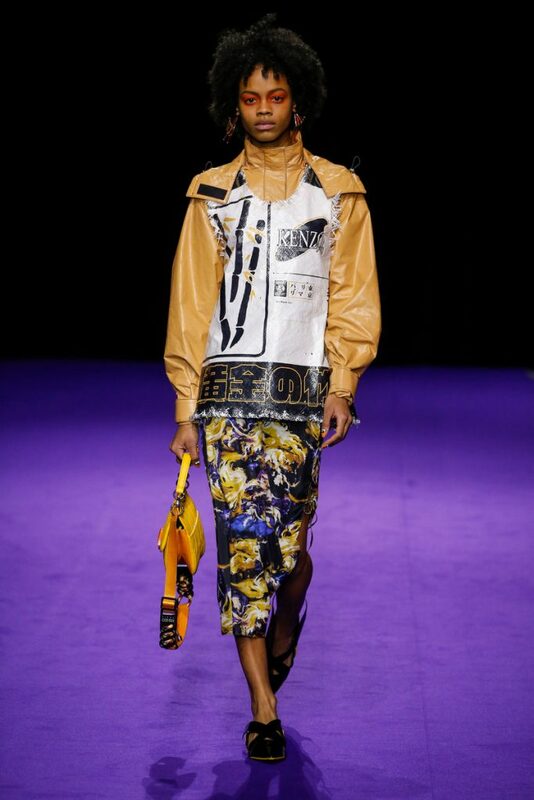 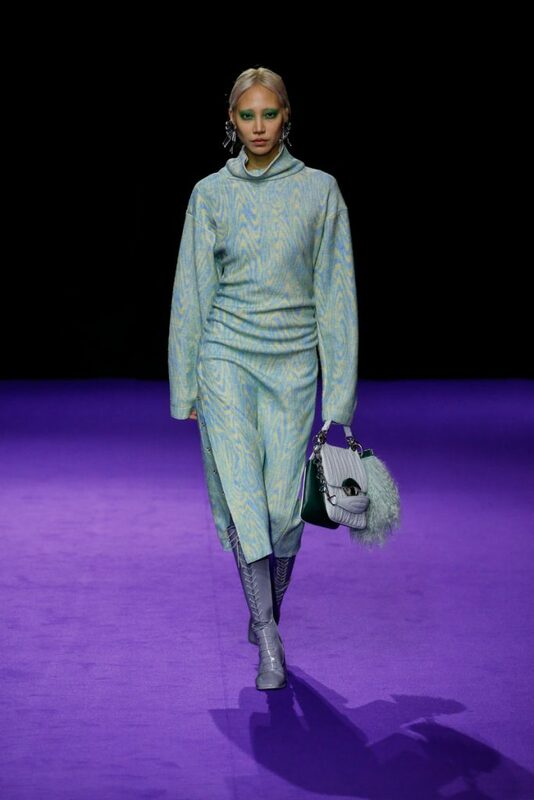 Influences from Humberto Leon’s father’s Chinese-Peruvian heritage started off the theme for Kenzo’s fw2019 collection. 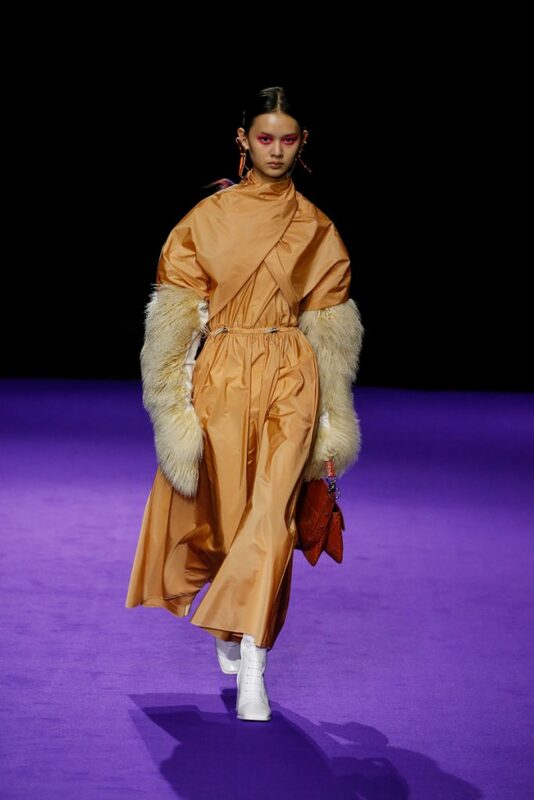 It made up for the traditional garments which were given a modern touch. 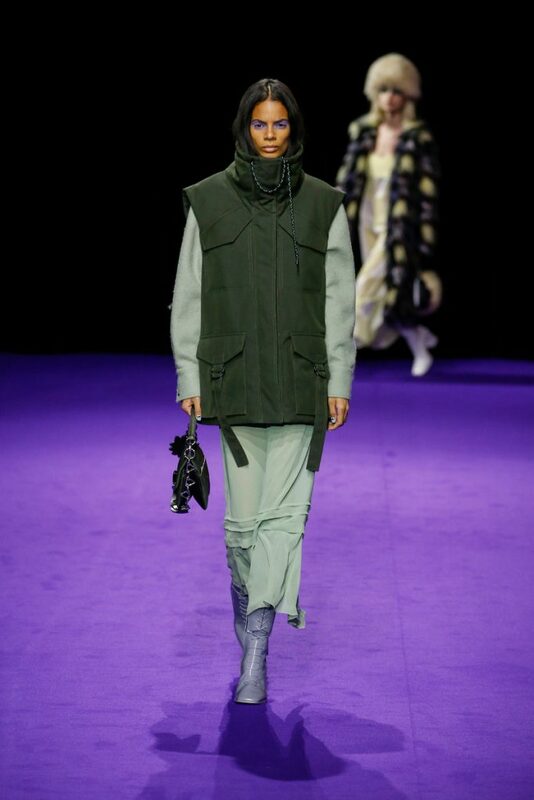 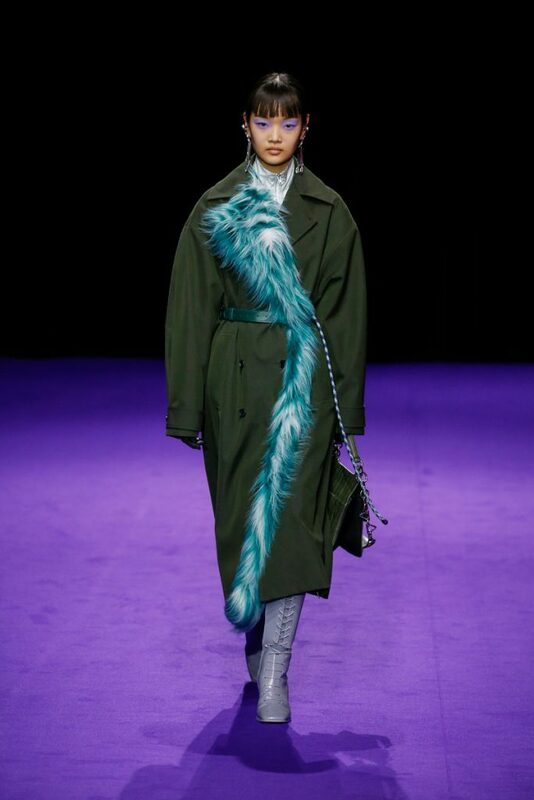 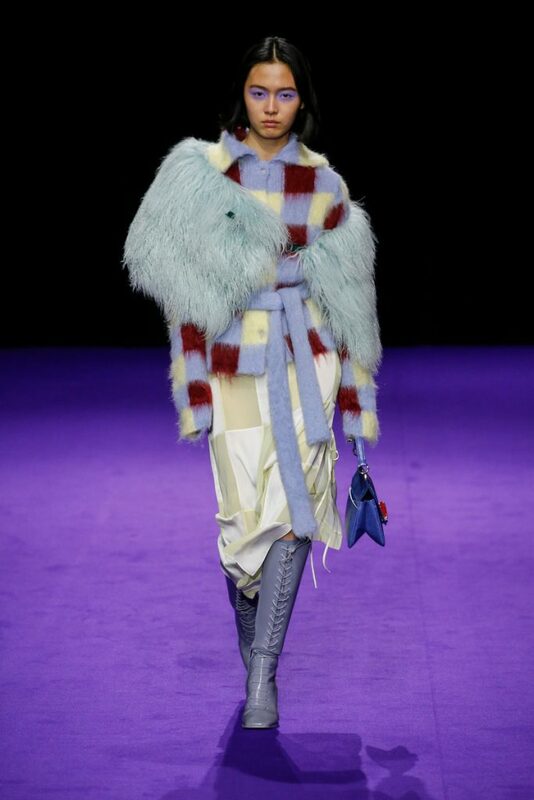 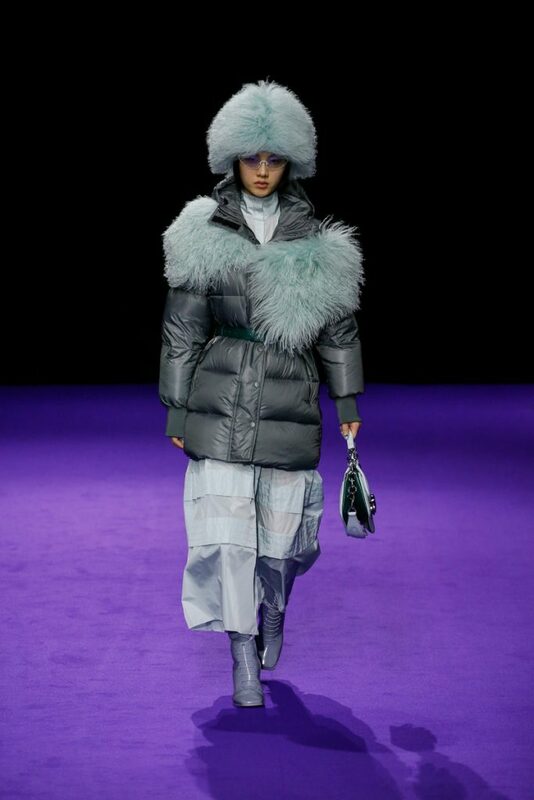 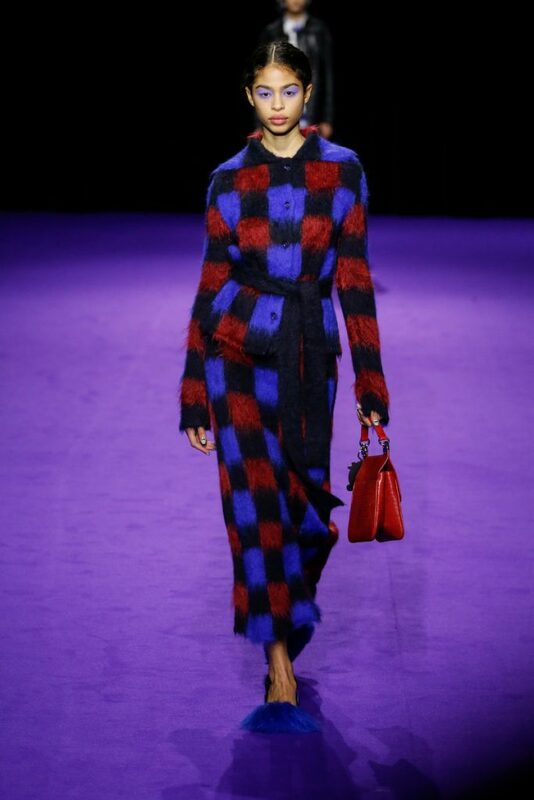 The show kicked off with the most stunning look of all; an army green coat with turquoise colored fur touches (which made the purple eye shadow look even more stunning). 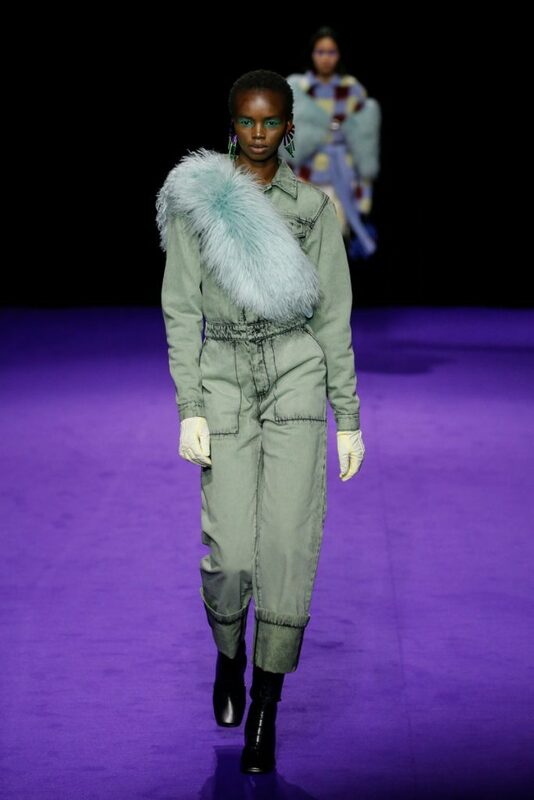 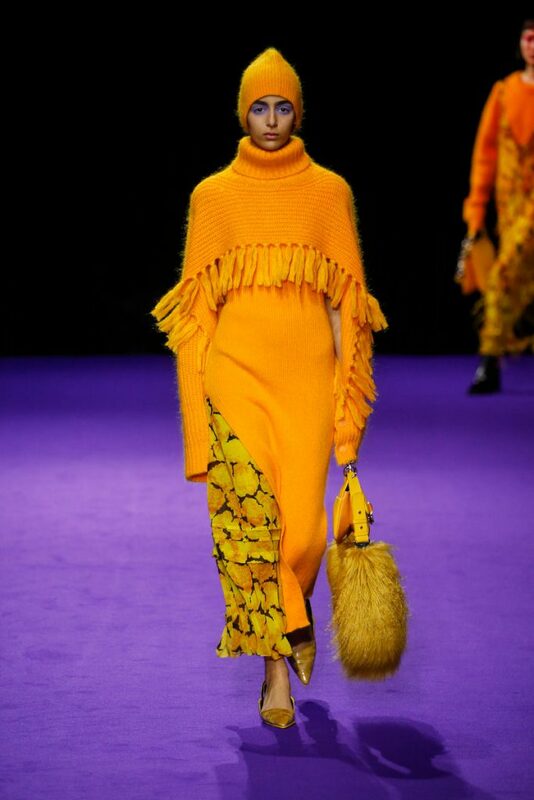 The faux fur remained a theme throughout the show. 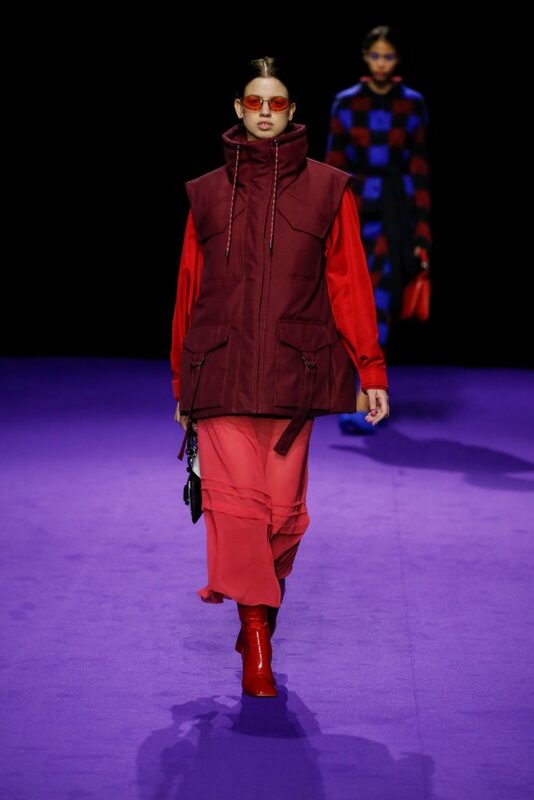 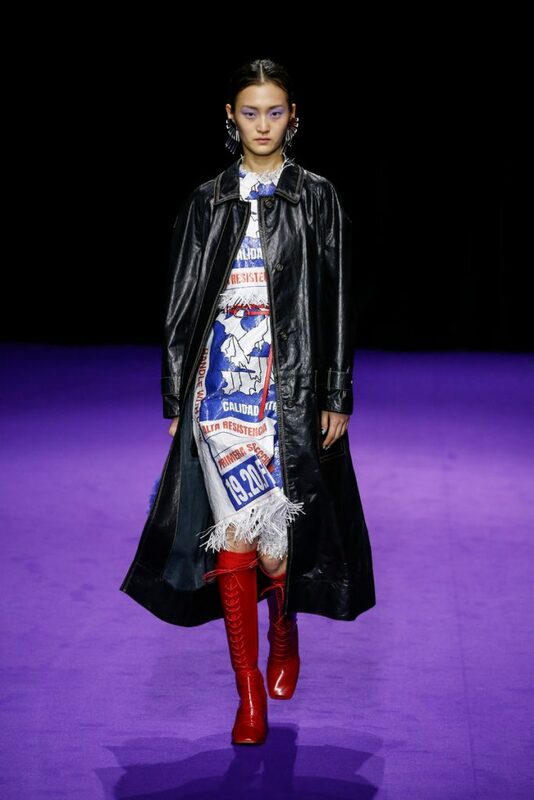 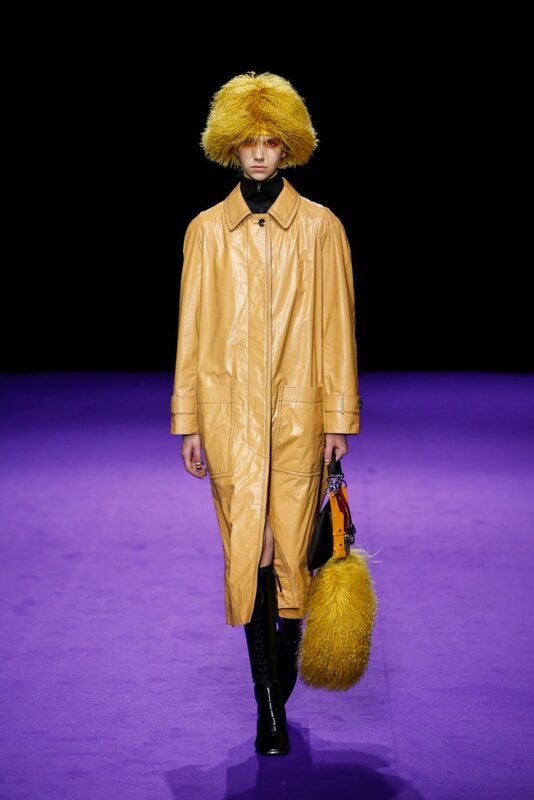 It popped up in the shape of coats, hats (that looked like wigs at some point), sleeves, gloves, bags, stoles and even a checked fur skirts and tops in red and blue. 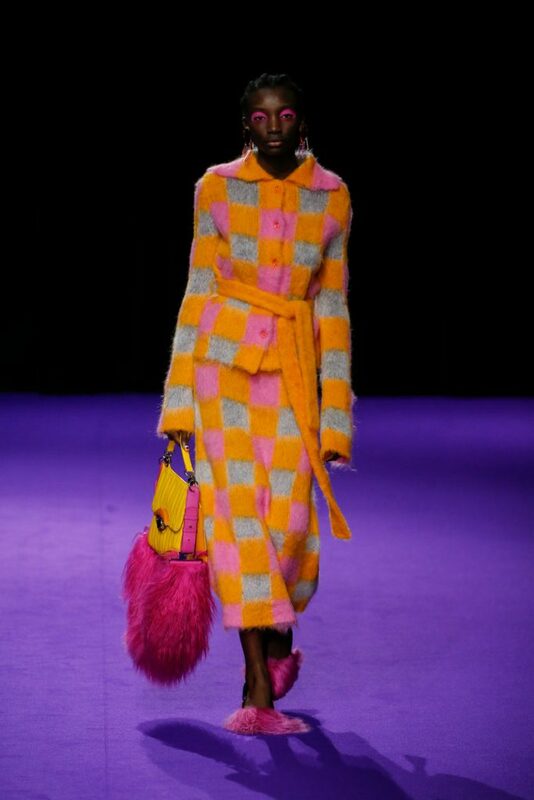 The palette existed of bright pinks, orange, yellow and blue (with bright eyeshadow shades to match!). 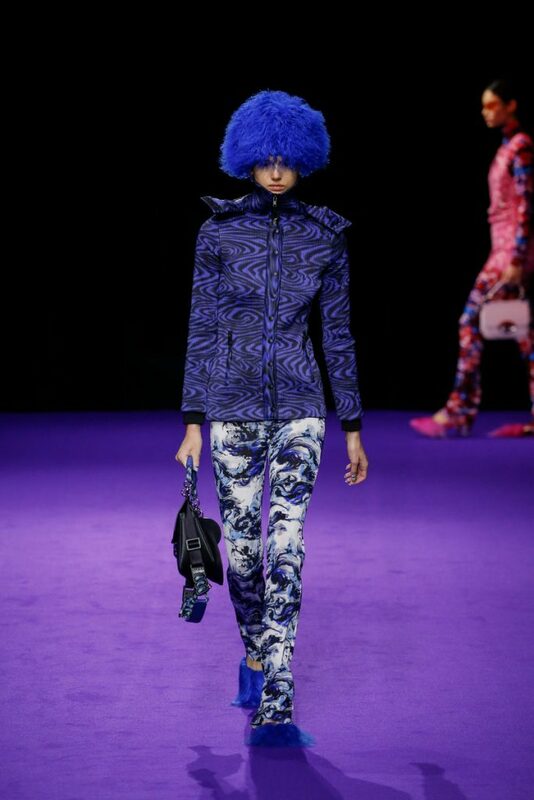 They were used in dazzling prints and statement accessories. 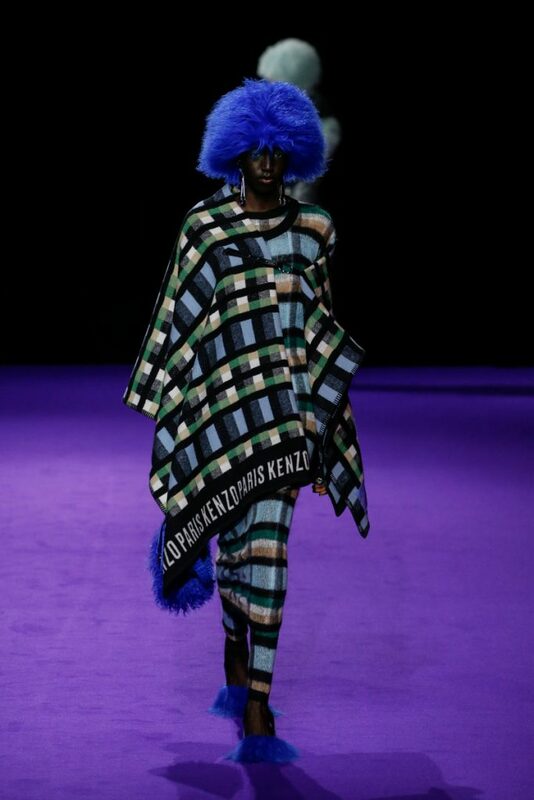 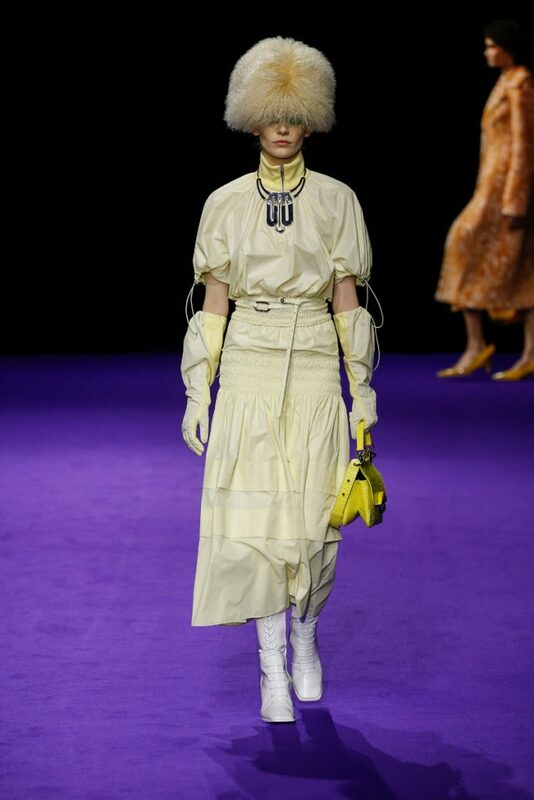 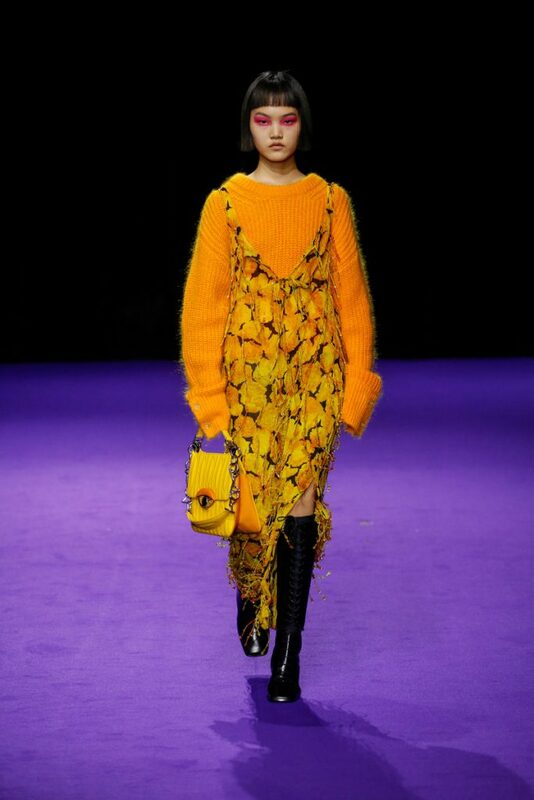 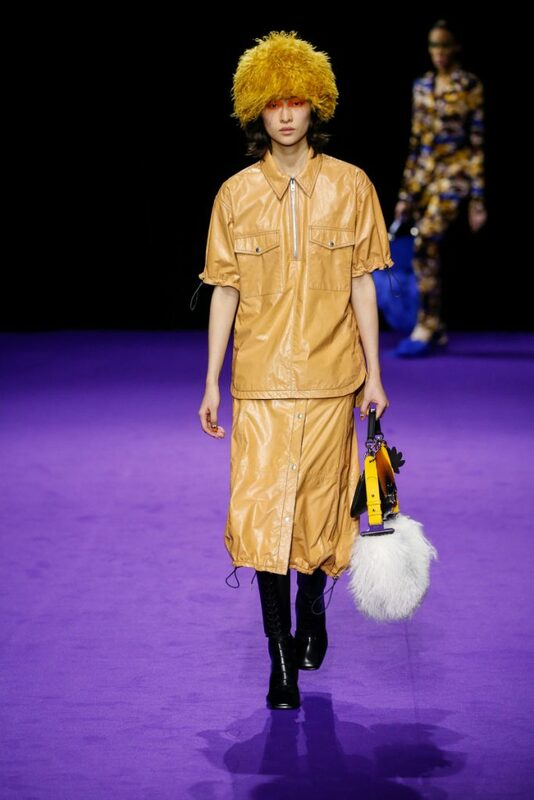 From denim boiler suits to knitted poncho’s; we’re not exactly sure how to interpreted this fw2019 Kenzo collection. 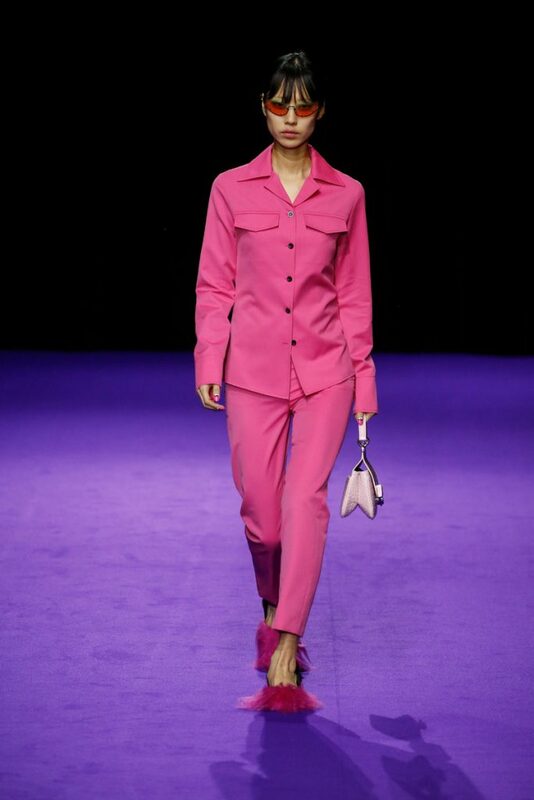 But there’s lots to love for the woman who dares to make that statement.